View basket “Printfile 120 Negative Storage Pages 120-4UB 100 Sheets” has been added to your basket. Kodak Portra 160 needs little introduction. It is one of the most popular films on the market today and a favourite choice for a huge amount of film photographers. The perfect film for portraits. It renders skin tones soft and natural looking while the grain is extremely fine. It is also known for its natural warmth, like most Kodak films. Portra 160, in particular, has red and brown undertones. Want to see more? Read our Kodak Portra 160 120 Film Review. Kodak Portra 160 120 Film 5 Pack needs little introduction. It is one of the most popular films on the market today and a favourite choice for a huge amount of film photographers. The perfect film for portraits. It renders skin tones soft and natural looking while the grain is extremely fine. It needs a well-lit scene to really shine. So wait for a sunny day to get the best of out it. It does, however, have slightly less latitude for over and underexposure compared to Portra 400. Overexposure increases the saturation making your images bright, punchy while taking away the flattering skin tones. It is a part of the Kodak Portra range of professional quality, daylight-balanced, colour negative films. Well known for producing natural-looking skin tones, with high detail and fine grain. It is also known for its natural warmth, like most Kodak films. Portra 160, in particular, has red and brown undertones. Compared to its main rival, Fuji Pro 400H, it will produce warm tones. While the Fuji film will give cooler tones. The unique colour palette has made it an especially popular choice for portraiture and editorial work. Portra 160 is a versatile film. Like Portra 400 it is pushable in a well-lit environment. You can rate Portra 160 at 320, pushing it one stop, and the results are impressive. Bear in mind, pushing will increase the contrast, brighten the highlights and cut detail in the blacks. 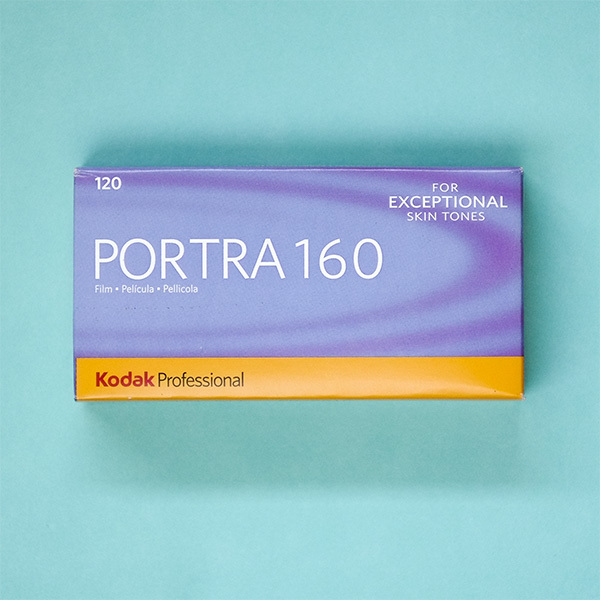 The new version of Portra 160 was introduced in late 2010. This film essentially combined the old NC (natural colour) and VC (vivid colour) versions while incorporating some technical advances from the Kodak Vision motion picture films. Additionally, the Kodak Vision technology makes Portra an excellent film to scan. 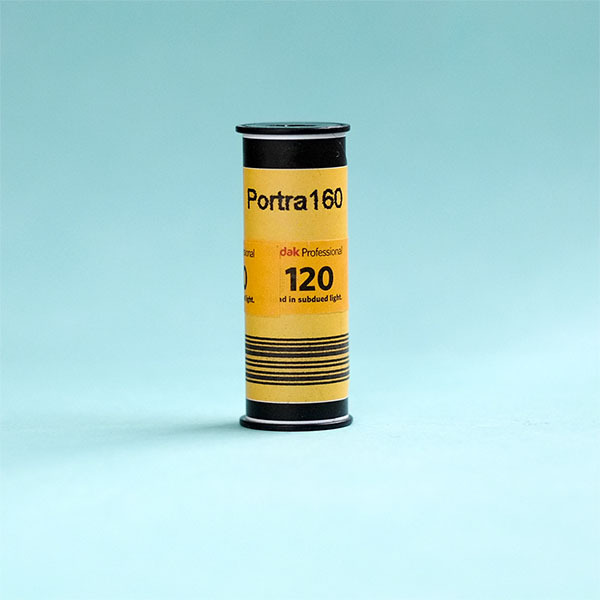 Kodak Portra 160 120 is available in single rolls or as a 5 roll pack. It is also available in both 35mm and large format. Not for you? Why not have a look at the other Kodak films we stock. If you have never shot film before, here’s your beginners guide to film photography and shooting film.